I guess that guy wasn’t expecting the thermometer to reveal temperatures quite this low! 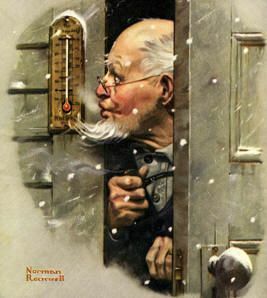 This humorous painting is by Norman Rockwell. What do you love most about it?